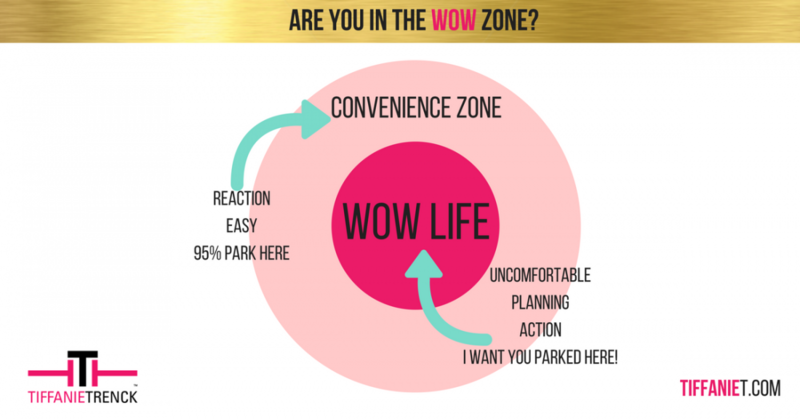 ARE YOU IN THE WOW ZONE? I know…I know…we all get it…Comfortable is easy. The reaction mode is just…well…convenient. We don’t have to do or think too much there. 95% of people park in this zone. DO YOU? BACK IT UP! It is time to move your car in life and business! However, the state of uncomfortable, planning, action, strategy…get you to the LIFE OF WOW! I want YOU there. All of us get one chance at this thing called LIFE and why not make the best of it! YOU CAN! YES, YOU CAN!